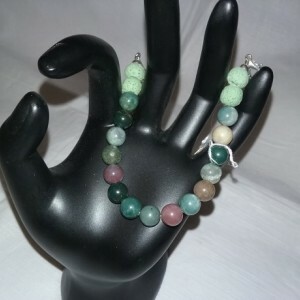 Size: fits all sizes Materials: Wire w/clasp & extra 0-rings to fit wrist sizes. 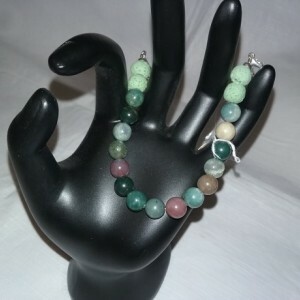 Gemstone: 8 mm Fancy Jasper: is a wonderful stone for bringing wholeness and healing to an environment or situation. 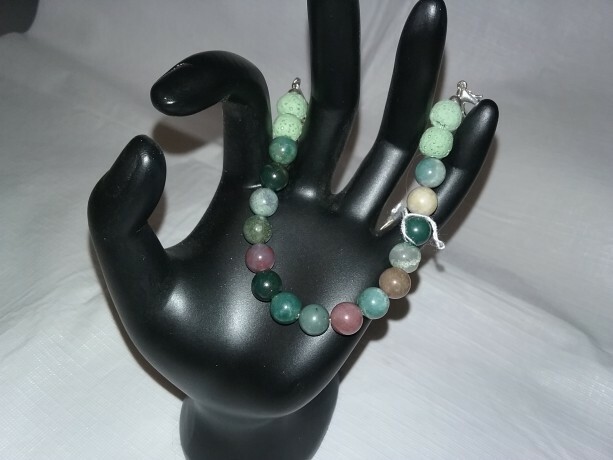 Jasper facilitates in balancing and aligning the physical, mental and emotional bodies, it is a stone of strength, courage and determination. 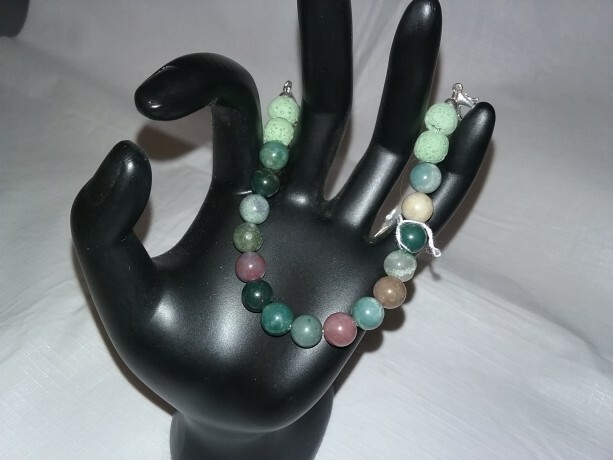 Jasper stimulates creativity and imagination, encouraging ideas into action.